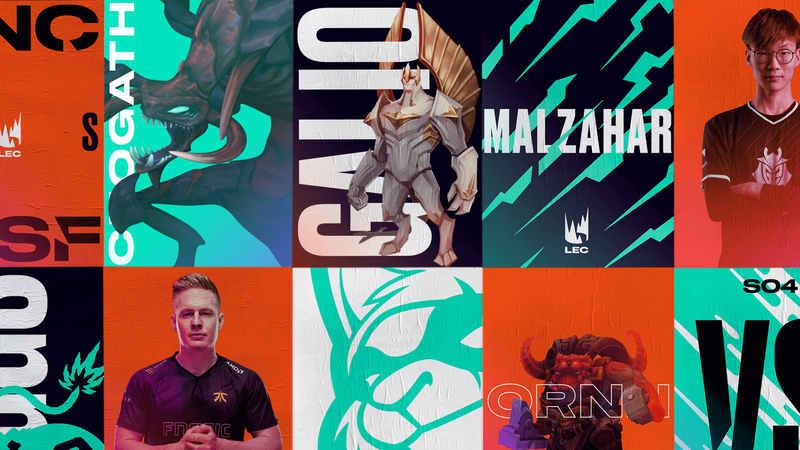 Our League of Legends LEC 2019 guide contains the schedule, team list and results from all the matches. This is technically the first year of the LEC (League of Legends European Championship), following the LCS (League of Legends Championship Series) rebranding last year. Despite a name change and a lovely new look though, the LEC will stay remain a premiere contest between the best teams in Europe. The first season of the LEC will be contested by a mixture of old teams as well as some new faces too. Staples like Fnatic, G2 and Origen will be making a return, alongside two new faces, Excel Esports and Schalke 04. In this article you’ll find details of the overall format for the LEC 2019, all of the teams that will be featuring, and a full schedule of all the matches which have been announced so far. Now that the LEC is underway, we're updating this article with results and throwing in VODs for each match too. So without further ado, here’s everything you need to know about the LEC 2019. Here’s a complete list of all the starting line-ups for the 2019 LEC Spring Split. It’s worth noting that the teams are able to add and change players during the split, so these rosters could chop and change over time. We'll also link out to VODS where they are available, so you can catch up on any matches which you may have missed. We'll be slotting in results as the Split gets underway.